Neutral vs Stability Running Shoes: Which Is Better? When you’re at the aisles of running shoes, your choices seem to be unlimited. You see a wide variety of shoes with different colors, designs, sizes, and prices. What best matches your running style and foot structure between the neutral vs stability running shoes? To help you find out, we will discuss the various types of running shoes, the differences between the neutral and stability running shoes, their advantages, and factors to consider when choosing running shoes. When you have to choose between the neutral running shoes and stability running shoes, you need to determine which one best suits your feet and running style. The two critical factors are your arch type and flexibility. The amount of support your foot needs also depends on the shoes’ height and flexibility. This means that the higher the arch, the more support you need, and vice versa. As such, generally, the high arched foot needs neutral running shoes, while the low arched foot requires stability running shoes. Runners with high arches may have difficulty with their running style and gait. They are not flexible enough to absorb the impact when they run or walk. Too much weight is put on the arch and ball of the foot which can make running and walking uncomfortable. 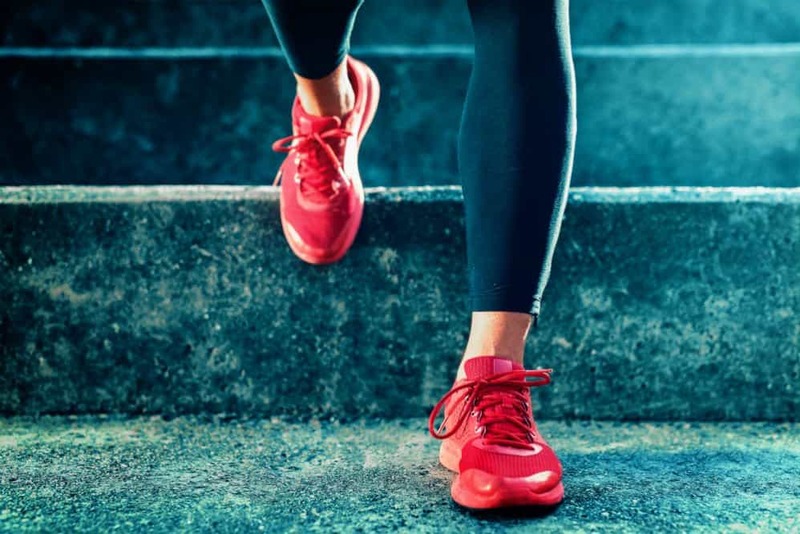 In the long term, these difficulties can lead to negative effects such as shin splints, ligament rupture, plantar fasciitis, and stress fractures. The high arched foot needs support to absorb the impact of the landing. The neutral running shoes are cushioned shoes that basically don’t have motion control features. They are generally lighter compared to stability shoes. They have a curved or semi-curved design that feels soft on the under-foot. This design also supports more speed and movement while reducing the risk of pain and injury. Neutral running shoes are best for high arches that can’t flex very much. This condition usually makes the runner stay on the outsides of his feet. Neutral running shoes help control the lateral tension inward through the cushion that supports the foot arch. A medium arch foot is the ideal arch shape because it is quite flexible and helps absorb the impact to the ground evenly. It is an advantage not only in running but in other physical activities as well. However, a medium arch foot is not an exception from possible foot pain and injuries. Runners with this arch type may be neutral runners or have overpronation. Runners with medium arch have slightly flexible feet that cause the ankles to roll inward as they take each step. Meanwhile, low arch runners are also known as people with flat feet. This is the type of arch that most likely overpronates. They are extremely flexible and sit low on the ground. Often times, they are biomechanically imbalanced and can increase the risk of common foot problems such as arch pain, plantar fasciitis, and heel pain. The ideal shoes for medium and low arch feet are the stability running shoes. For medium arches, stability running shoes help stabilize the inward bend through the shoes’ arch support and middle sole technology. For low arches, the ultimate stability shoes (those with level five mark) provide the maximum support needed. In this case, they are also called motion control shoes, and they have the most cushions to support the low arch. Stability running shoes are designed for runners who overpronate or pronate past the neutral point. They have integrated midsoles that support the bottom of the arch which somehow helps in maintaining the foot in neutral alignment. When looking for stability running shoes, look for the label “posting” or “a post” which corresponds to the supporting features of the shoes. There is another type of running shoes that is intended for runners who severely overpronate or people whose feet move extremely inward while running or walking. Motion control running shoes are made with sturdy support features to help keep or correct the over pronation. These shoes modify the foot into a neutral position, not only at the arch bottom but at the start of the heel as well. Another feature of running shoes is the amount of cushion. Regardless of the neutral vs stability running shoes, the cushion level should match the running pace, foot structure, and other factors. Here are some guidelines that will help you choose the appropriate level of cushioning for you. Level 5 Cushion: This is the maximum amount of cushion that is available in running shoes. It is intended for running maximum mileage on a daily basis, as well as for marathons. Level 5 cushion is also perfect for new runners and runner with larger body frames. Level 4 Cushion: It is a multifunctional high mileage cushion that is excellent for short and long every day running and racing. Level 3 Cushion: The level 3 cushion has the unspoiled balance of flex, moderate cushion, and lightweight. It enables the runner to have an energetic feel for tempo, race, and daily running. It is excellent for professional runners and marathoners. Level 2 Cushion: The level 2 cushioned shoes are extremely light and flexible with the minimal amount of cushion and feel. It is used by very competitive runners to strengthen their practice form and feet. Level 1 Cushion: The most flexible and most lightweight is the level 1 cushioned shoes. It has a thin layer that provides the slightest protection; in fact, it feels barefoot. While running seems like a simple workout for staying in shape, there are important factors to identify and consider. One is the pronation or the natural movement of the foot as it lands on the ground while walking or running. People have different pronation in which appropriate type of running shoes should be worn. Neutral running shoes are best for runners who put excessive tension on the forefoot and rear foot. These shoes help absorb the shock and keep you running efficiently and comfortably. On the other hand, stability running shoes are for overpronation to help bring the foot to its natural alignment. That being said, whichever is the best kind of running shoes between the two will depend on your arch type, foot structure, pronation, and running activity. Choosing the right one will help to minimize the risk of injury.